Following surgery, vital signs are carefully monitored in the hospital. You may find that your heart rate after open heart surgery has changed. Symptoms like a speeded up heart rate or a pulse deficit may indicate an fibrillation problem. can change after a surgery or under continuing stress. It’s important to check with your doctor to ensure your vital signs are where they should be for you. Everyone is different. An “average” is what’s normal for most people in the general population. What’s normal for you may vary. 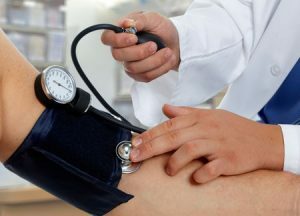 A pulse deficit occurs when your doctor can find a difference between the number of heartbeats observed with a monitor (like a stethoscope or EKG) and the pulse that’s able to be felt at the wrist or other pulse point. A pulse deficit happens when your heart is beating but the pulse isn’t reaching the extremities. It may indicate a weakness in your heart, atrial fibrillation, or very early ectopic beats. Your vital signs are the best indicator of your overall heart health. If you’re experiencing a change in your heart rate after open heart surgery, you will want to discuss your heart rate and blood pressure with your doctor. It’s important to learn to monitor your own heart rate at resting and during exercise so that you have a baseline to refer to when checking your pulse. If you have any questions following your treatment or about your heart at any time, contact your doctor immediately.